Participants who raise $250, $500, $750 and higher have their choice of brand name merchandise as our thank you for raising funds. The more you raise the better the prizes…from tote bags, to cookware, to power tools and TVs! Fundraising is easy through your online Participant Center. Take a moment to log in and personalize your site. Then you can use one of our template emails to customize and send to all of your friends and family members asking for their support. 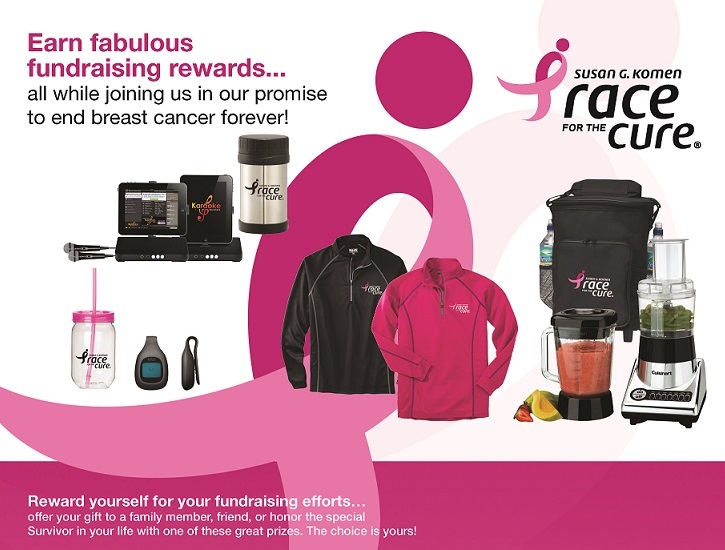 To see a complete list of fundraising prizes click here. All donations MUST be received at our Affiliate Office by 4:00 pm on Monday, 11/24/14 or online by Midnight, Monday, 11/24/14.